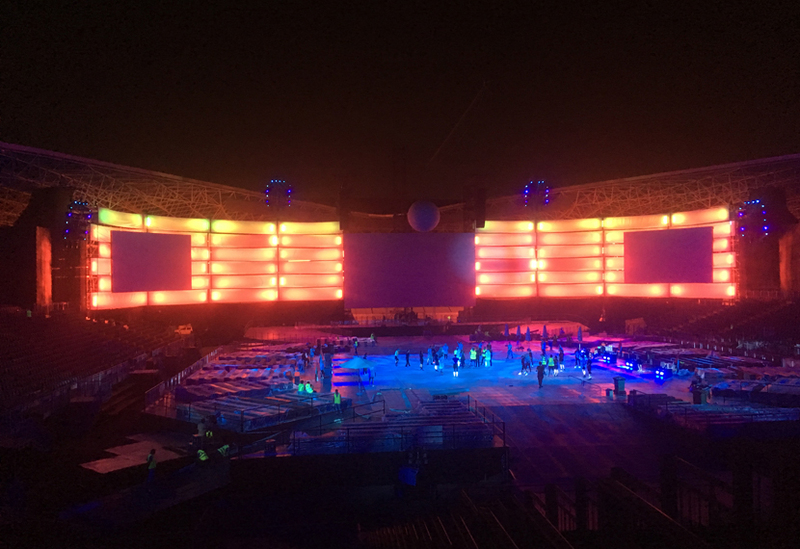 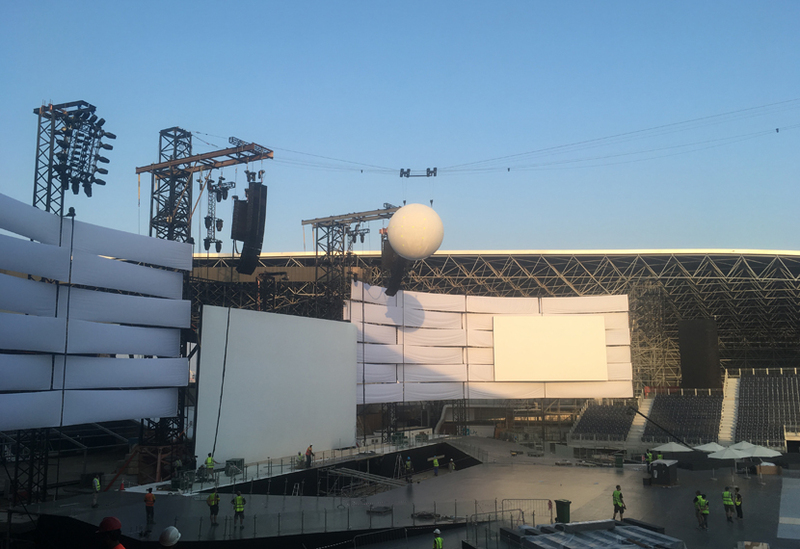 The combination of Qmotion, a three-wire catenary and a GRP sphere delivered key elements for the opening ceremony of the 44th World Skills Competition held in Abu Dhabi. 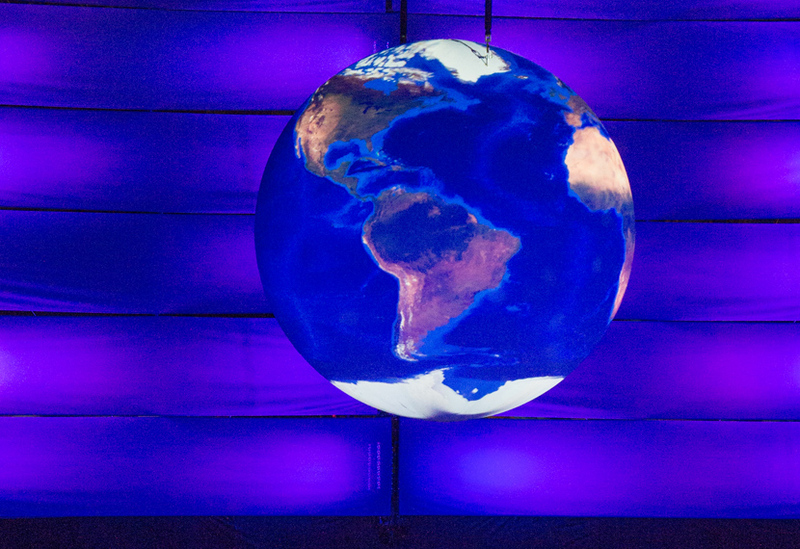 The event saw a total of 59 countries and regions compete in 51 skills competitions over the course of four days. 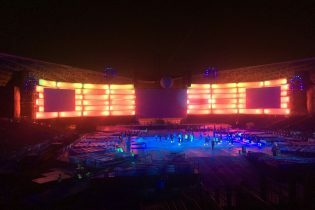 We designed, installed and programmed all the aerial automation. 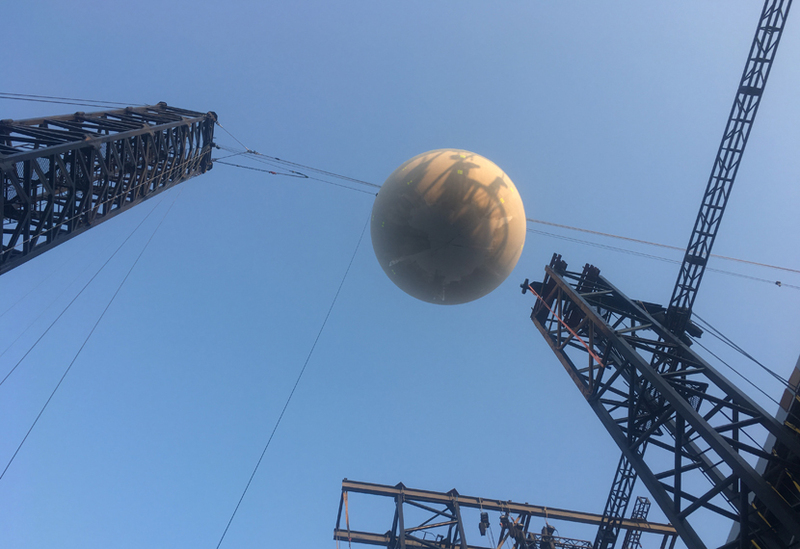 The 18m high catenary comprised three 60m sections, each connected via bespoke attachments to three 34m tower crane masts. 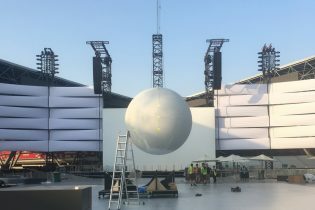 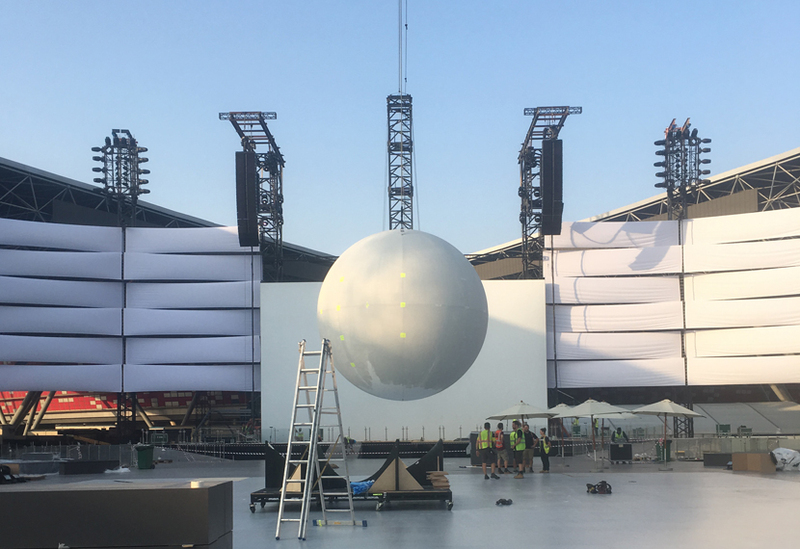 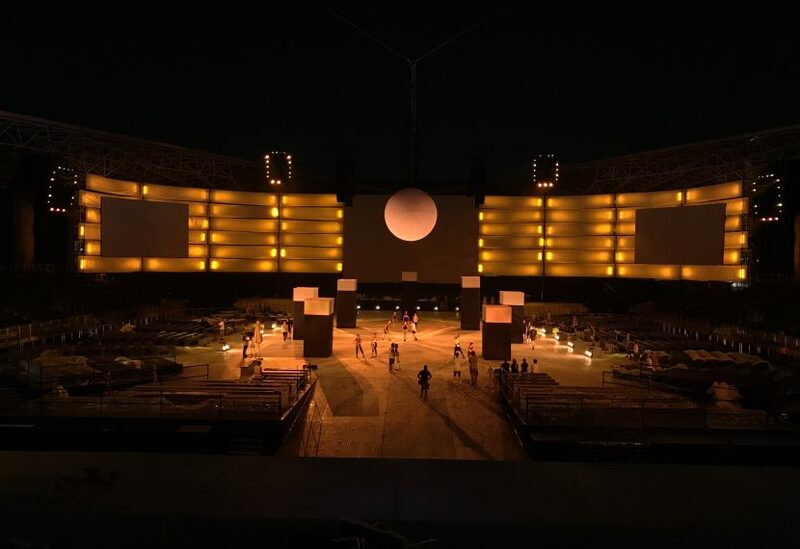 Programmed and controlled by Qmotion, the system flew a 4.5m GRP sphere that was used in a projection mapping sequence, rising from behind the main screen to move to a centre-stage position. 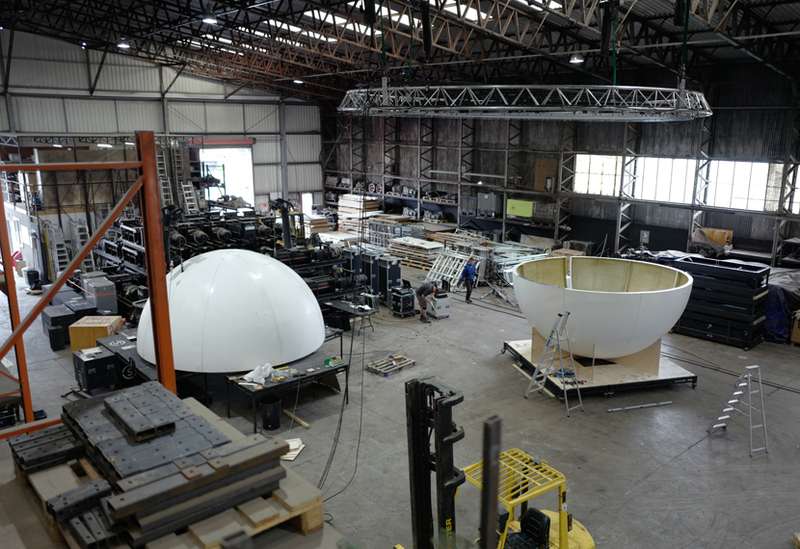 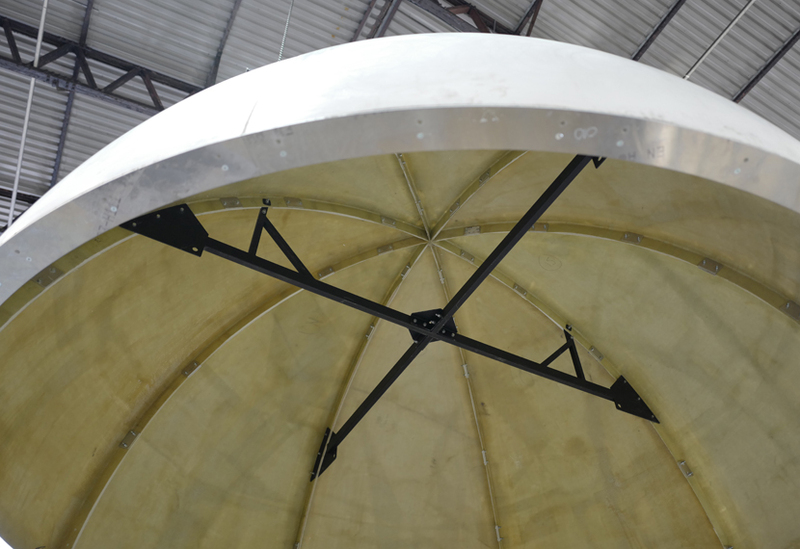 The sphere was manufactured in 16 segments and given a smooth projection surface finish. 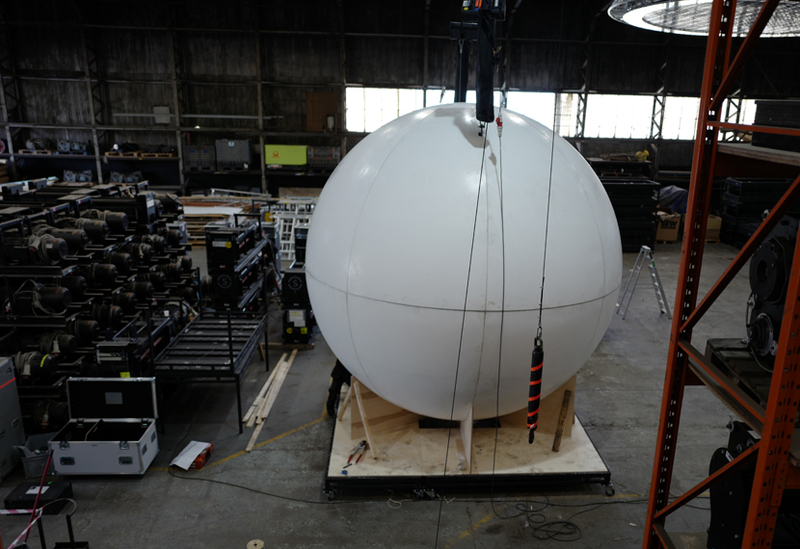 A bespoke dolly enabled it to be safely detached during the show, freeing the system for performer use. 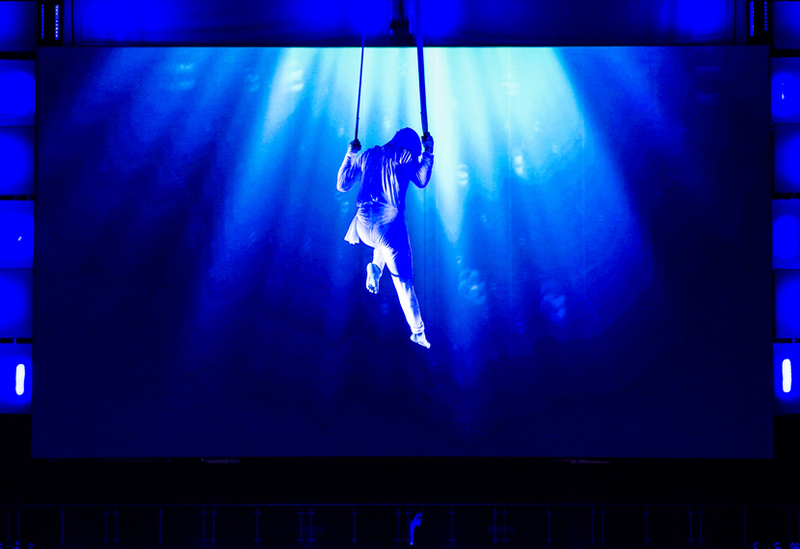 Our crew also installed a single fixed spot hoist that was used to raise and lower an aerial performer.